Competition pork pie eating is never going to rank as an Olympic sport and despite hours of television coverage, acres of editorial copy and countless photo opportunities. Those connoisseurs of this dubious vocation remain in obscurity. Indeed, to many the humble pork pie has all the allure of synchronised swimming. yet believe it or believe not, a conclave of pie aficionados hold regular tasting sessions in a neverending quest to locate a truly great specimen. 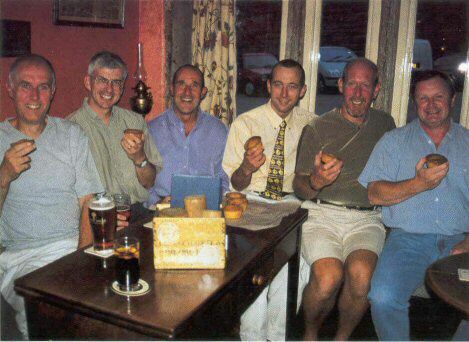 The Old Bridge Inn Pork Pie Appreciation Society. Affectionately known as the Pie Club, curiously enough meet every Saturday, at the Old Bridge Inn, Rippondon, to discuss world issues, down the odd pint and sample what they hope will he a tantalisingly tasty morsel. However, competition pie eating, as described in the club’s official charter, has nothing to do with consuming vast quantities of these little beauties in a given amount of time and anyone who has ever stumbled across the threshold of the Old Bridge inn on a Saturday evening will confirm that this is a serious business, undertaken with decorum and professionalism. Old Bridge local Mark Travis enjoys a locally produced pie. Seated solemnly under the society’s own coat of arms, proceedings commence with a debate on world affairs. Often heated. these discussions are broad ranging. Eventually, after everyone has put their point of view, the 'scribe’ will he charged with recording three of these items under the heading ‘Events of the Week’. Next a sporting issue will he considered and again the details will be recorded in a vast ledger. Then it’s down to the serious business of scrutinising the pies, which will have been brought to the club by an appointed ‘fetcher’. Firstly the pie will be lovingly caressed and admired, ensuring that its body bears no blemishes and the pastry is a uniform golden colour. It must also possess a pleasant aromatic bouquet when sniffed, not unlike a fine wine. The real test comes though when the pie is surgically cut open, displaying its internal workings for all to see. The meat must be pink, smell fresh and be encased in just the right amount of jelly. 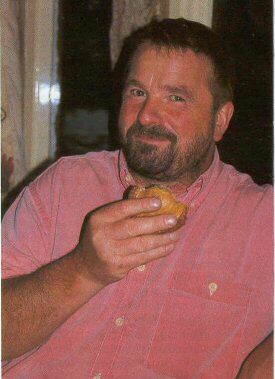 It is at this crucial stage that the first mouthful is tasted and from the expressions of the assembled experts it is possible to speculate on the quality of the as yet unidentified pie which has been brought to the club, especially if the members reach for the HP sauce, or worse, Tabasco chilli sauce. Scores will then he awarded and each member allowed to explain why he liked or disliked a particular pie. The fetcher is of course going to be biased in the marks that he awards and the club make allowances for this terming it ‘fetcher’s privilege’, though should he take advantage of the situation, awarding his own pies high marks, he will be denounced and accused of ungentle manly conduct. Once again the scribe will record the marks and proceedings will be brought to a close for another Saturday night when the identity of the pie and the cost of it are revealed, so that they too can be noted. The president. Kevin Booth, explained: Back in l982 a group of local gentlemen would meet at the pub after strenuous exercise at the nearby health club. Unfortunately, the pub didn’t serve food on Saturday evening, so the majority of the group were reduced to munching pork scratching and salted nuts, while one of the lads had the foresight to bring with him a pork pie which he consumed in front of us. while we looked on ravenously. He really did not mind the group enviously eyeing up his pie and this went on for a number of weeks, until someone had the bright idea of bringing in pies for the rest of the group. After months of enjoying their Saturday evening treat. the pie fetcher said he could no longer continue and suggested that the duty he shared and the pie club was born. Not all pies reach an acceptable standard and some have been unceremoniously tossed into the nearby River Ryburn, which flows conveniently close to the inn. Once a year local pie makers converge on the inn to establish the supreme pie maker. The competition, usually staged around the middle of March. sees producers from Huddersfield. Halifax, Barnsley and elsewhere in Yorkshire all hoping to he voted number one pie maker. However, the society has had entrants from many other parts of the country chasing the elusive title. Indeed pie makers from Lancashire occasionally enter the competition, in the vain hope of success. The pies have it! The gentlemen of the pie club sample a winner. The event draws large crowds and raises substantial amounts for local charities in the process. Kevin estimates that over the years they have raised more than £5,000. This year’s winner, Andrew Whitwam, of Hlinchliffe's Farm Shop in Huddersfield. beat off 35 other challengers to take the trophy and the title of Pie Maker Supreme. Like many other experts, Mr Whitwam insists on using top quality ingredients and a secret recipe to produce a truly outstanding pie. Over the years various serving methods have evolved to ensure that during tasting sessions the natural flavour can he truly appreciated, so much so that pies arc now allowed to reach room temperature before being served. A good pie will require absolutely no condiments and as an aid to the tasting club members will be provided with a glass of beer, which has been found to be a perfect accompaniment to these often delicious works of gastronomic art. As a club the members pay homage to the pie maker’s craft, but are always on the lookout for like-minded individuals who might care to join them on a Saturday evening. In total they now have 10 members hut new faces are always welcome. Club members receive various awards for their efforts on behalf of the society. Each year the champion pie fetcher is presented with an inscribed tankard, while the member who brings in the worst example of a pie will be given a large shovellike wooded spoon. There are also prizes for the furthest fetch and an award for the most expensive pie to be tasted at the club. 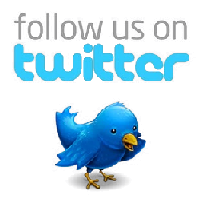 For further details contact Kevin Booth, OBIPPAS, C/O The Old Bridge Inn, Ripponden, Halifax, West Yorkshire. HX6 4AF, enclosing an SAE.